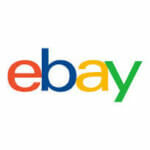 Hey Guys, Ebay is here with another good offer, in which you can Buy Products worth rs upto 799 rs at Just 199 rs. 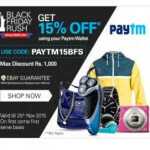 This offer is valid only on your first purchase made at ebay or you can say that this offer is valid only for new users of Ebay. 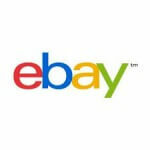 If you haven't done any transaction yet on Ebay, then you must checkout this offer now. 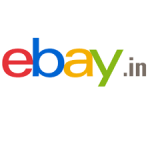 Ebay having total 6 Products, upto 799 rs, from which you can choose any one product by just paying 199 rs. So grab this offer now, before it ends. Choose product of your choice, and apply coupon code which you was got via SMS. After that, Proceed to payment, and pay 199rs via suitable payment methods and enjoy this deal. Now, After Fill Up above form, you will get confirmation message in your Inbox. On 8 February, you will Get Coupon Code via SMS, and all other instructions for Grab this offer. We will also update this Post with instructions, that how can you grab this offer. So Checkout this deal now, and keep visiting here for find more cool deals and stuffs like this. Thanks for visiting.